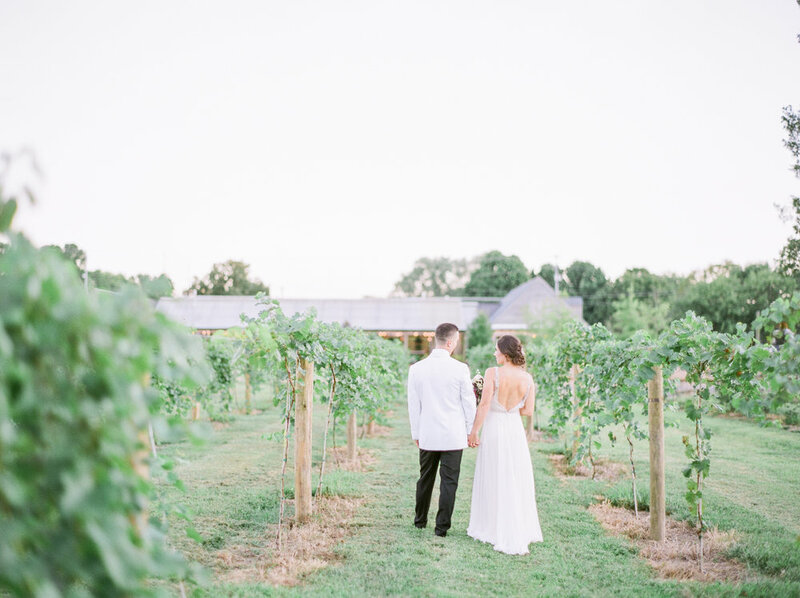 Unlike any other, Long Hollow Gardens offers Historic Charm with a Modern Aesthetic, Refined Agrarian Roots, and a Garden for Every Bride in Any Season all just minutes outside Nashville. We invite you to visit us and see our 35 acre property, Farmhouse Bridal Cottage, Hearthroom Barn, and The Greenhouse. We are honored to be considered for your day. Congratulations. 25 minutes outside Nashville. Piece of cake to find. Long Hollow Gardens can accommodate 235 wedding guests comfortably with ample room for celebration throughout The Greenhouse. Our unique property allows Bride's to choose from four distinct outdoor ceremony locations. If rain threatens your outdoor sunset ceremony, our 1800sf all weather Veranda adjoining the Greenhouse hosts stunning ceremonies with views over the property and hillside. Weddings at Long Hollow Gardens need little decorations or additions to be worthy of your vows and our preferred vendor list takes advantage of plenty of local caterers, florist, and other local talent to ensure you and your guests will have nothing to worry about. Our hybrid approach allows you to choose the caterer and other talents that best suits your style- all with no fees, charges, or kickbacks to us. Its just that simple. Our groomed 35 acre property offers four distinctive outdoor ceremony locations ranging from the picturesque Wildflower Meadow, Traditional Circular Garden, Elm Allee, and expansive Bowling Green. For cooler months or inclement weather, The Veranda and Greenhouse can host both ceremonies and receptions. Our Spaces are adored by Photographers and Patrons alike. With its Transparent roof, the Greenhouse boasts unprecedented natural light in an indoor environment even on cloudy days. With authentic beauty surrounding, Long Hollow Gardens needs little decoration to be worthy of your vows.